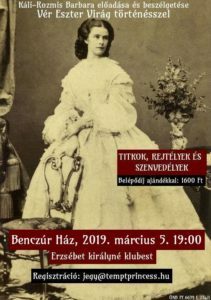 Kezdőlap » Empress Elisabeth – Sisi » The Life of Empress and Queen Elisabeth » A WEDDING PROPOSAL WHICH CANNOT BE REFUSED - What is behind the fairy tale? "But please, I beg you, do not force the things when you speak to Sisi." When meeting Franz Joseph, Ludovica, Helene and Sisi were wearing mourning dresses because of the death of an aunt, they did not have time to change dresses before the tea party organized by Archduchess Sophie. The simple, highly closed black dress fitted Sisi perfectly but Helene seemed to be too strict in that. 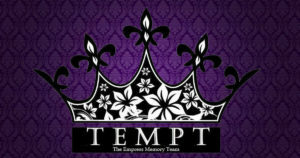 According to many, it also played a role in the Emperor’s choice, and that is why his marriage proposal was made so quickly. The first (that is second) meeting took place at the tea party, which was followed by a dinner a few hours later. According to Elisabeth’s bibliographer, Brigitte Hamann, Sisi was sitting with her governess at the end of the table, where she felt herself a bit uncomfortably because of being treated as a child. She might have had some idea about what was happening, however, Helene knew very well "what was at stake." Many guests noticed that the Emperor was so fond of and delighted by the young Sisi. He liked Elisabeth’s weak and fine shape, gorgeous hair and the lovely expression of her face. When Sisi realised that he was looking at her, she lost all her consciousness and calmness. She was embarrassed and confused, and whispered her governess, "I am so scared that I'm not hungry any more." The ball took place on 17 August, the evening before Franz Joseph's 23th birthday. At first, Sisi had not been invited to the party. It was the Emperor’s request to invite her to the ball. Elisabeth entered the ballroom wearing a simple peach tulle (according to one of her bibliographer, Cars) or a rosy white muslin prom dress (according to another one, Count Corti), which was prepared not long before their departure from Possenhofen. Those who attended the ball could see the glittering small diamond arrow in Sisi’s rich hair, which pushed back "the brown gold waves from her forehead" (Corti, 21). Her elder sister, Helen was wearing a beautiful white silk dress; Sisi’s one was much more modest. "I think I was dancing with our future Empress!" The sentence quoted above is from Hugo von Weckbeckert, Franz Joseph’s adjutant, who was asked to dance with Sisi by Archduchess Sophie, who wanted to see how her niece danced. It was impossible to him not to notice that the Emperor was constantly looking at his dance partner. The shy Elisabeth tried to dance with the best of her ability. Then it was the time for the cotillion. To the guests’ greatest astonishment, the confident Emperor walked straight towards Sisi and handed a bouquet to her, who did not realise that it meant a wedding proposal. According to Brigitte Hamann, when Elisabeth was asked whether she realised the Emperor's attention towards her, she simply said, "No. It only made me embarrassed”. However, everyone on the ball, knew what was happening, that is, it was not Helen who would be the fiancée of Franz but her younger sister, Elisabeth. Sisi was embarrassed since everybody was staring at her but she did not know the etiquette very well so she did not realise what that all meant. She could hardly stand being highlighted and later as an empress it would not change... After handing the bouquet to Elisabeth, the Emperor danced with her. Sisi was embarrassed sometimes and forgot what steps followed but Franz whispered in her ear what to step. Franz officially presented his fiancée just after the next morning Mass. To find out how the older Bayern Duchess, Helen felt herself, let us speak about the next day carriage ride. Elisabeth was indisposed during the carriage ride where Franz and his mother took her and Helene. The Emperor was wild with joy and kept looking at Sisi. According to Count Corti, the above mentioned bibliographer of Elisabeth, it was only Helene who was talking "a lot loudly and cheerfully, though, everyone had the feeling that everything she said seemed to be a bit depressed and artificial”. The Emperor had made his decision the very next day he met Sisi on the tea party. After Franz revealed his intentions, the Archduchess asked him not to rush the thing and consider it well, but his opinion was that one should not hesitate for long. Sophie made some attempts to convince him but finally, she was willing to agree that Sisi would be the future Empress of Austria. Apparently, she resigned, however, she decided to re-educate her naughty niece. Did Sisi really love Franz? A question could emerge: Was it the answer of the fifteen and a half-year-old imprudent and autonomous Sisi, or was it her mother who forced her into this marriage? What we knew is that the young Sisi had a love-sorrow, it was one of the reasons Ludovica took her to Austria with Helene. Elisabeth had fallen in love with a soldier, a certain Count Richard S., who was “accidentally” removed from Possenhofen by a mandate. Not long after that he returned but got ill and died. Sisi went into deep melancholy. She was in her room crying and writing love poems all day long. Ludovica wanted to make her daughter glad and cheerful with the travel, besides, she hoped to find a fiancé for her. She also thought of Karl Ludwig, who liked Sisi very much and changed letters with her after their first meeting several years before - he also had sent a ring to his young cousin. Sometimes Sisi answered his letters. Let us be back to the days after the ball. "The next day, on 19 August, Sisi burst into tears and said to her governess," ‘Yes, I like the Emperor. I wish he weren’t the Emperor.’" (Quated by Corti) The rank was not important to Elisabeth at all. Everybody at the ceremony could see how happy the Emperor was. However, we should not forget about Sisi. How could she bear the sudden popularity? At first she was said to be happy when Franz proposed her but as a result of the endless celebrations and interests towards her, she became embarrassed and cried a lot. She was very afraid and terrified because of the future events and representations. Her sadness and embarrassment only slightly could be eased by the Emperor, who behaved tactfully and generously with her all along then and later on as well. MAGYARUL: A VISSZAUTASÍTHATATLAN HÁZASSÁGI AJÁNLAT – Mi áll a tündérmese hátterében?